1.1 The Organizing Authority and regatta host is the Coconut Grove Sailing Club (CGSC). 1.2 The regatta will be governed by The Racing Rules of Sailing, including the USSailing Prescriptions listed below in NOR1.4, and the respective Class Association rules, except as any of the above may be properly changed by the Sailing Instructions. 1.3 Sail numbers must be displayed on both sides of the mainsail in sharp contrast to the sail, and clearly legible. 1.4 The following prescriptions of USSailing will apply: rules 61.4, 76.3, Appendix F, and prescriptions to rules 68 and 76.1. These prescriptions are posted separately on the event website and will be posted at CGSC. 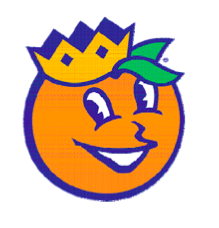 NOTE: This is NOT the Orange Bowl International Youth Regatta hosted by our friends at the neighboring Coral Reef Yacht Club on the same dates. If your son or daughter is racing in the Youth Regatta, we invite you to bring your own boat and race in our Open Orange Bowl Regatta. 2.2 Skippers must be members of their Class Association. 2.3 Each boat entered must have an approved Measurement Certificate on file with their Class Association, unless the Class Association does not issue Certificates. and completing the on-line Entry Form, including the fee section. Payment will be accepted as provided on the event website, above. For non-US entrants only, payment by cash or check in US Dollars will be accepted at Competitor Check-In in the event that on line payment in advance cannot be made. Entries open on Monday, September 9th, 2013 and must be received on or prior to Friday, December 20, 2013, except as provided below. Once total entries across the three invited classes to be shorebased at CGSC reach 75, CGSC may subsequently advise later entry applicants at any time that either, a) they must find alternative shore-side locations from which to sail, or that b) entries are closed. 2.5 On site Check-In is required at the times provided in NOR4, below. Additional BBQ and Floribbean Dinners may be purchased on line or at Competitor Check-In (additional dinners at Competitor Check-In will be subject to availability). CGSC will attempt to provide alternative vegetarian dinners as requested. 4. SCHEDULEAll times shown are Eastern Standard (Miami) Time in 24 hour format. Unless otherwise stated, all shore-side events take place at CGSC. All Skippers and Crews are encouraged to attend the Thursday BBQ and the Saturday Floribbean Dinner at CGSC to mingle with other racers. 5. SAILING INSTRUCTIONSSailing Instructions will be available online prior to Competitor Check-In at the event website: http://openob.sailspace.net and printed copies will be available at Competitor Check-In. 6.16.2CGSC is located at 2990 South Bayshore Drive, Miami, FL 33133, which is at thesouthendofSouthBayshoreDriveinCoconutGrove, approximatelyfour miles south of downtown Miami. The racing area for boats shorebased at CGSC will be on Biscayne Bay, southeast of CGSC. Sailboards Miami is located at Mile Marker 6.5 of the Rickenbacker Causeway, Miami, FL 33129, which is 0.7 miles east of the Miami toll plaza for the Rickenbacker leading from Miami to Key Biscayne via Virginia Key, approximately 1.3 miles south of downtown Miami. The racing area for boats shorebased at Sailboards Miami will be on Biscayne Bay just south of the shorebase. 7. WEATHER & TIDESCourses will be windward-leeward, Olympic or trapezoid as detailed in the Sailing Instructions. Weather and tide information is available from the “Links” section of the http://www.cgsc.org website, and continuous marine weather broadcasts are available from station KHB 34, Coral Gables, FL, on frequency 162.55 MHz (VHF Weather Channel 1). 8.1 Eleven (11) races are scheduled. Three (3) races must be completed to constitute a regatta. 8.2 If six (6) races are completed, each competitor’s worst score will be excluded. If eleven (11) races are completed, each competitor’s two (2) worst scores will be excluded. 9. AWARDSPrizes will be awarded for first through fifth place for each class, provided that fifteen (15) or more boats are entered in that class. Otherwise, three prizes will be awarded. See appropriate Appendix for additional information. 10. FACILITIES10.1 CGSC shorebased boats may be kept on dollies or on their bottoms on the CGSC lawn, in the Strip trailer storage area and, if necessary, in the adjacent section of the parking lot. CGSC has experienced very significant Membership growth over the recent past years. At present, we have over 1000 Members, but still only fifty-one (51) parking spaces. Consequently, vehicle parking inside the CGSC entrance gate is reserved for Members. Offsite parking is available nearby on the circle just outside our Main Gate, in the underground parking garage a half block up McFarlane, or elsewhere nearby. For more information, visit: http://www.cgsc.org. Sailboards Miami shorebased boats may be kept on the beach in the designated areas or in the supplied storage room. There is free parking on the beach. For more info on Sailboards Miami, visit http://www.sailboardsmiami.com/. 10.2 CGSC - There are three docks, two floating and one fixed. A public boat ramp facility is located adjacent to CGSC. For the CGSC Open Orange Bowl Regatta, CGSC’s launching facilities will be configured so as to provide one hoist and two launch ramps. Sailboards Miami – Only beach launching is available at this shorebase. 10.3 All trailer unloading, loading and staging done at CGSC will be as instructed by the organizers or host staff, or at Sailboards Miami as instructed by their staff members. Trailers will be parked off site at the designated Orange Bowl trailer parking area at Dinner Key Marina for boats shorebased at CGSC, or at Miami Yacht Club for boats shorebased at Sailboards Miami. 10.4 Support and Coach Boats shall register with CGSC during Registration. Launching of coach boats not already in the water will be permitted at the Coconut Grove Sailing Club facilities or as directed by host staff. 10.5 All skippers and crews must properly dispose of trash while ashore at CGSC or Sailboards Miami or afloat. Trash left on the ground will not be tolerated. Further, while ashore, all skippers and crews are to promptly comply with instructions from the CGSC or Sailboards Miami Staff. Failure to comply with these directives will be grounds for either cancellation of entry under rule 76.1 or denial of entry in future CGSC Open Orange Bowl Regattas. 11. ACCOMMODATIONSNearby hotel information is provide below. Be sure to mention that you are competing in the Orange Bowl Regatta, as we are attempting to arrange special rates for the regatta period. 2649 S. Bayshore 2800 SW 28th Ter. 1350 S. Dixie Hwy. Phone 1-800-537-6099. Early reservations suggested! A3 FEESThe entry fee for all Lasers is $125. A free keg will be provided after racing each day for the Lasers in addition to the other inclusions provided in NOR3. A4 RACINGLasers, Laser Radials and Laser Masters shall compete together as a single fleet. The Rig Switching Rule will be in effect for all Laser competitors as follows: competitors may choose Standard or Radial rigs at their discretion; provided all rig changes are made on shore and all sails have the same number. A5 MASTERS SCORINGLaser Masters will be scored as part of the single Laser fleet. For the Masters Regatta, Laser Masters Scoring System Handicap Points will be added to the raw score. forms will be required for competitors under age 19 as of December 31, 2013. Class. I-420 Class Membership and USSailing Membership are also required for this event. B2 CHARTERSI-420’s will be available for charter from Landfall/Dinghy Locker or CISA; Landfall/Dinghy Locker E-mail: mark@landfallnav.com Phone 203-487-0775. CISA E- mail: Danielle@odmsail.com Phone 619-224-6998. Charterers are required to bring their own Class Legal sails and sheets. B3 FEESThe entry fee for I-420’s is $250. B3 INSPECTIONI-420 boats and sails will be inspected to insure compliance with Class Rules. Sails must have an international measurers stamp and Class Sail Buttons affixed to all sails. Female teams should have the “diamond” patch on their sails as in international competition. B4 RACINGAll I-420’s shall compete together as a single fleet. B5 ADDITIONAL AWARDSIn addition to the provisions of NOR9, for boats receiving trophies, there will be trophies for both the skipper and the crew. The top junior team (skipper and crew not yet age 19 on December 31, 2013) and the top all female team will receive trophies. APPENDIX C – 29ersC1 ELIGIBILITYThere is no age restriction for skippers or crews in this regatta. Parental consent forms will be required for competitors under age 19 as of December 31, 2013. C2 FEESThe entry fee for 29ers is $250. C3 RACINGAll 29ers shall compete together as a single fleet. In addition to the provisions of NOR9, for boats receiving trophies, there will be trophies for both the skipper and the crew. The top junior team (skipper and crew not yet age 19 on December 31, 2013) and the top all female team will receive trophies. 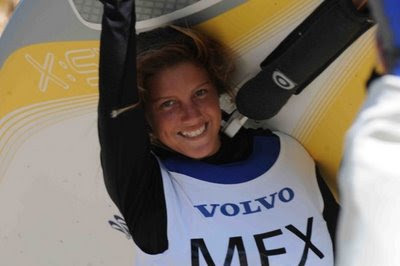 APPENDIX D – RS:X WindsurfersD1 ELIGIBILITYThere is no age restriction for skippers or crews in this regatta. Parental consent forms will be required for competitors under age 19 as of December 31, 2013. D3 FEESThe entry fee for RS:X is $125. D4 RACINGAll RSX boards shall compete together as a single fleet. D5 ADDITIONAL AWARDSIn addition to the provisions of NOR9, for boats receiving trophies, there will be trophies for both the male (9.5 sail) and female (8.5 sail). The top male and female junior sailor not yet age 19 on December 31, 2012) will receive trophies. 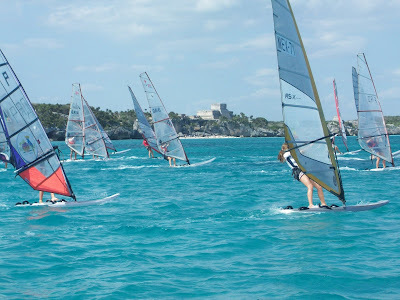 APPENDIX E – TECHNO Windsurfers (T293)E1 ELIGIBILITYThere is no age restriction for skippers or crews in this regatta. Parental consent forms will be required for competitors under age 19 as of December 31, 2013. E3 FEESThe entry fee for T293 is $125. E4 RACINGAll T293 boards shall compete together as a single fleet. E5 ADDITIONAL AWARDSIn addition to the provisions of NOR9, for boats receiving trophies, there will be trophies for both the female and male top three skippers on U17, U15 and U13 divisions. F1F2ELIGIBILITYThere is no age restriction for skippers or crews in this regatta. Parental consent forms will be required for competitors under age 19 as of December 31, 2013. FEESThe entry fee for F16s is $250. RACINGAll F-16’s shall compete together as a single fleet. ADDITIONALAWARDSIn addition to the provisions of NOR9, for boats receiving trophies, there will be trophies for both the skipper and the crew. The top junior team (skipper and crew not yet age 19 on December 31, 2013) and the top all female team will receive trophies.